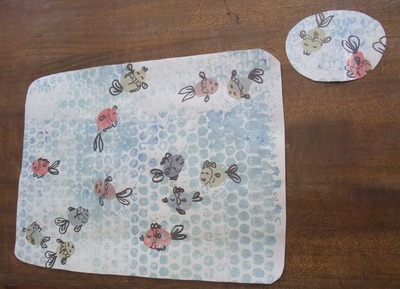 This is a fun easy way for the kids to make their own fishy placemats. Cut out bubble wrap and glue it onto the empty roll. 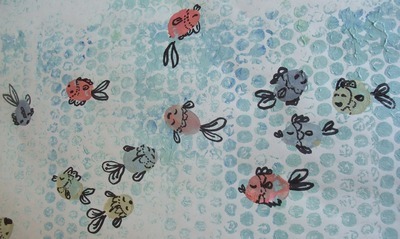 Paint along the bubble wrap an underwater colour and roll out onto your sheet of paper. Dip thumb print on plate of paint colours and gradually add thumb prints on paper, leaving room as these will be your swimming fish. 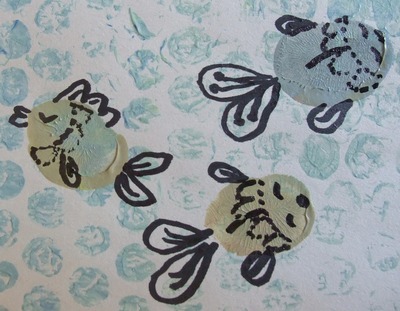 Once dry, with a black marker pen, turn thumbprints into fish by adding eyes, fins and tails. 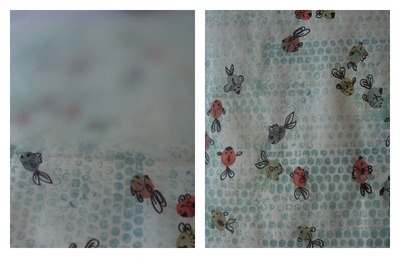 Cover with clear contact book adhesive. Cut into placemats and coasters.